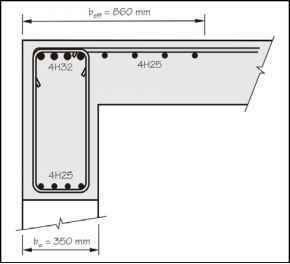 This calculation is intended to show a small slender column subject to a requirement for 2 hours fire resistance. The middle column, B, in Figure 4.5, is subject to an axial load of 1722.7 kN and from analysis moments of 114.5 kNm in the plane at the beam and 146.1 kNm perpendicular to the beam (i.e. about the z axis). 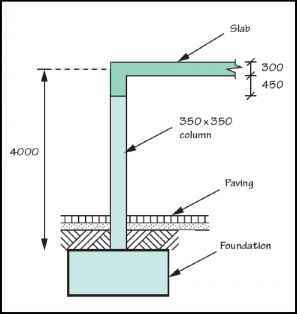 The column is 350 mm square, 4000 mm long, measured from top of foundation to centre of slab. 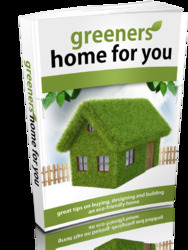 It is supporting storage loads, in an external environment (but not subject to de-icing salts) and is subject to a 2 hour fire resistance requirement on three exposed sides. Assume the base is pinned.